For Tempering:- Ghee (1-2 tsp), Jeera (Cumin seeds) (2 tsp), dry red chilly, pinch of hing (asafoetida). Clean n wash the moong dal, boil the dal in a wide pan (dekchi), add haldi, salt n bay leaf. When it start to boil add the potato cubes n let it boil about 10 mins.when the dal is half cooked (80%), add the janhi n again boil untill it properly cooked. Add the grated coconut on it. Switch off the flame. Now for tempering, heat ghee in a small frying pan, add dry red chilly, cumin seeds n hing and pour it into the boiled dalma. 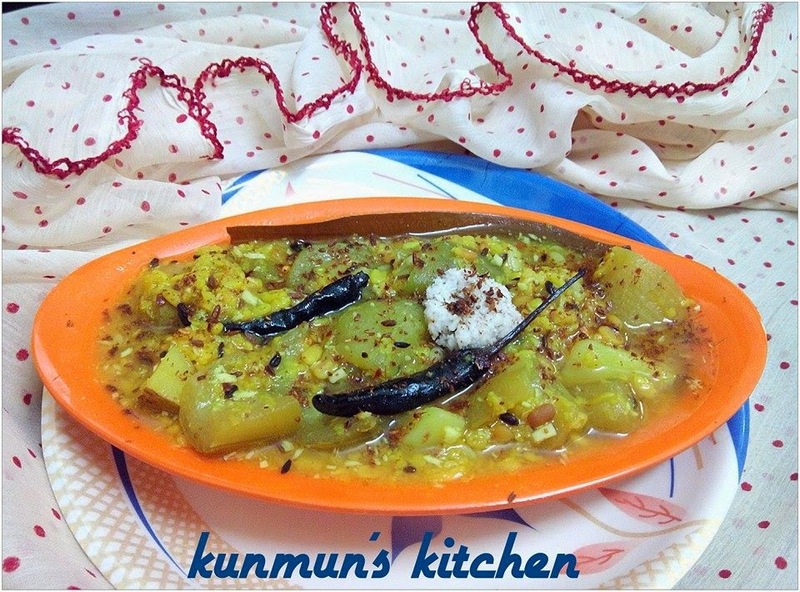 Sprinkle the roasted cumin+fennel+chilly powder n Serve with roti or poori..!! !